You’ve been doing your best in trying to get the highest grades and pass your admission test, and an application essay is of equal importance. By crafting an outstanding and catchy piece, you will show your strength and determine yourself as a most qualified student. Your essay is like your reflection in the mirror – it will tell its reader not only about your writing skills but also show who you are and describe your personality. Here are 9 tips to ensure that your paper stands out to the admissions committee. Make Sure You Read The Instructions. Read the application essay guidelines and try to follow all of the instructions precisely. 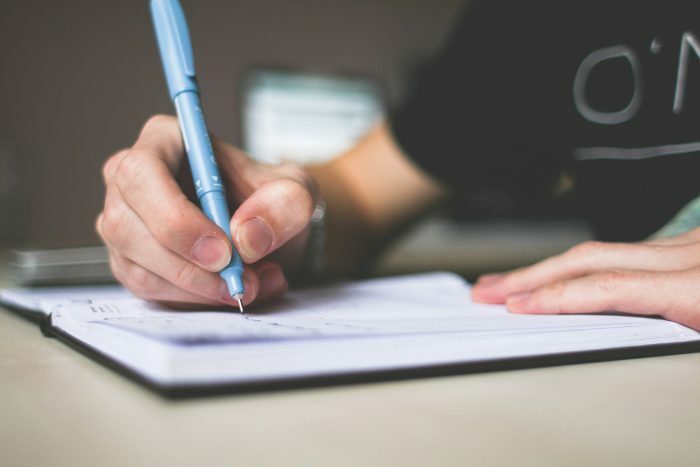 If you write your college essay just as it is demanded it will show the college admissions that you will be able to follow the directions of the university’s program. Try to adhere to word limits and do not go over it. After you have gone through the guidelines, write an outline and create a plan – it will help you to render the main idea. Sometimes applicants skip this tip as it may seem like something redundant. However, if you spend some time organizing the whole process, you will save more time later. Remember, a great writing plan helps to avoid serious rewrites. Make an outline where you will mention paragraph length and word limits. In addition, create a schedule and set goals how many paragraphs you would write a day or a week it will make everything organized, and you will avoid stress and frustration. Establish 3 major parts of a composition: introduction, body, and conclusion. The admission officers won’t spend a lot of time on your paper – try to catch their attention starting with a vivid introduction. Brainstorming regarding your personality traits and characterizing your strengths is a good place to begin. It is very important for you to make a coherent transition between paragraphs and expand the main idea. Provide your composition with a focus by figuring out how this idea links to your personal qualities. When writing a conclusion, sum up the concept that was developed in the body of the composition. Pick Up a Topic That Will Highlight You. Think about your strong suits and choose the one that highlights you best. You don’t have to cover too many aspects, as it will make your application essay superficial or scattered and won’t show peculiar traits of yours. Focus on the one aspect of yourself, so the reader can get acquainted with your personality. It would also be great if you share a catchy story that is not covered in your grades, strength of curriculum, and admission test scores. Tell Them Why That Subject Interests You. When writing your college application essay, you should convey your passion and interest towards the chosen subject through it. It is known that the person who is passionate about certain subject proves to become more successful in the chosen domain than those who are not. If you want to catch their eye – show your interest. You can simply state a fact such as “I have a passion for science.” But you can make it more memorable by including specific details, examples, reasons and depict your idea in the best way. For instance, if you want to tell about your deep interest in science you can describe the project you have already been involved in. The admissions officer is looking for an authentic person, thus you don’t have to lean upon phrases or ideas that people have used many times before but stay upon your genuine views. The application essay is your possibility to impress an admission committee with your dedication and awareness of the chosen subject. Ensure it reflects all of your skills and ambitions, and show how your chosen program will help you achieve future goals. If the essay question expects you to write about your best quality answer it honestly without pretending someone else or writing something that admission officer wants to hear. Let them discover you! To create a flawless college application, you will need to read it over and over again in order to fix typos and spelling and grammar mistakes. But it will be great if you ask someone who hasn’t seen it yet to have a look at it and give their evaluation. You can ask a teacher or parent to proofread your essay and check if the writing is good. Before submitting your final work ask your friend to look through it and tell you whether the essay reflects your personal qualities or not. However, limit the number of people you ask to two or three in order not to be confused. It is an awesome idea to look for people who have an experience in the college admissions process. Now you are ready to start working on your essay. Take a piece of paper and get down to work!